My Rating: About 50…or Maybe 60…of 5! After re-reading The Raven Boys, Book 1 of the Raven Cycle, I remembered all over again why I love Maggie Stiefvater’s writing. After reading The Dream Thieves, Book 2 of the Raven Cycle, I have decided that I want to BE Maggie Stiefvater when I grow up. There are no words to convey how powerful and moving her writing is. And I know a LOT of words. Just none that do the job adequately. I enjoyed her Wolves of Mercy Falls trilogy. It was sweet, and spooky, and an unusual take on werewolves. I LOVED The Scorpio Races, a dark, hauntingly beautiful tale of young love, unfolding on the backs of the capaill uisce, or water horses of Celtic legend. But the first two books of the Raven Cycle are simply beyond my ability to explain. With lyrical precision, and dark imagery, Stiefvater creates a cast of characters unlike any I’ve ever encountered. The four Raven Boys are a disparate, yet tightly bonded, group of young men who attend Aglionby Academy. They are at once admirable, flawed, driven by needs too complicated to explain here, and made alternately strong and weak by those same needs. And then there’s Blue, the non-magic girl in a house filled with seers and diviners, and whose gift is amplifying the magic of others. Once Blue becomes part of the group of Raven Boys, things change in so many unexpected ways, it would be hard to keep up, without the skillful plotting of the author. Her lyrical turns of phrase aren’t the only thing at work here, though to be sure, it’s her writing that makes the tale as powerful as it is. Her story line is terrific, but her words are positively inspired. As I said in an earlier post, Stiefvater can lay open a character’s soul more efficiently than a boning knife, and often, with equally painful results. Her words left me gasping more than once, because, quite simply, her writing has a kick like a mule. I can’t recommend this series highly enough. Hands down, the best two books I’ve read in several years, and I’m counting the days until I can read the last book, Blue Lily, Lily Blue, coming October 21. Two, actually. Congratulations to mergirl and marje on winning downloads of Maggie Stiefvater’s lovely book, Scorpio Races! I hope you both love it as much as I did! Stay tuned for next Monday’s giveaway, when I’ll be offering a free download of Jim Butcher’s latest Dresden Files book, Skin Game. See you then! Today starts one of my new features…Monday Giveaway Day! Be sure to make a note. Every Monday, I will give away a free download (or maybe more) of one of my favorite books. There will be many genres over the weeks ahead, so you’re sure to find something you’d like. 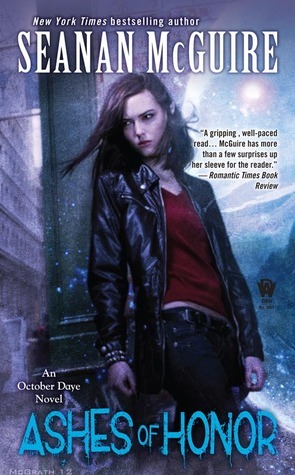 Today, I am giving away one that I dearly love by Maggie Stiefvater, Scorpio Races. It is a re-imagining of the Celtic water horse myth, told as only Stiefvater can. Scorpio Races is listed as a YA book, but trust me on this. It works for adults, too. The writing is lovely, the characters, touching and poignant, and the water horses…capaill uisce…are terrifying and beautiful at the same time. 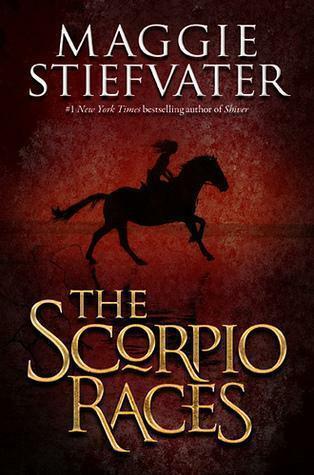 The Scorpio Races by Maggie Stiefvater: I have 2 free downloads available for this. Maggie Stiefvater is a truly gifted and beautiful writer, and of all her books, The Scorpio Races is my favorite. It is a haunting, magical, and dark tale centered around the Celtic legend of the water horse. This is a Young Adult book, but it is NOT young adult writing, believe me. Try it. You’ll be as in love with Stiefvater’s writing as I am. The Scorpio Races is a stand-alone book. 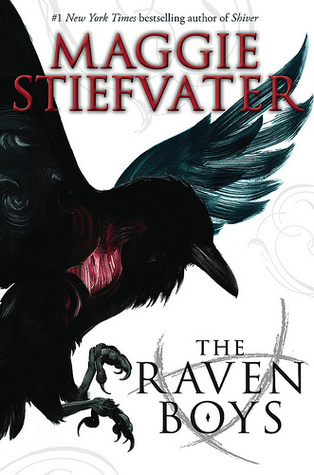 The Raven Boys by Maggie Stiefvater: Okay, so I’m back to Maggie again, but really, any fan of Urban Fantasy, magic, Celtic legends, and beautiful writing should be reading her already. She’s one of the best. This book is completely unique in the way it approaches an odd assortment of characters whose lives become interconnected in unexpected ways. There is another Celtic legend at work in the background here, too, but I’m not going to give away any more than that. I’ve already got the 2nd book in this series waiting in my To Be Read basket, and I can’t wait to get started on it. Book One was utterly captivating. I have 2 downloads available of this book, too. Killing Floor by Lee Child: The book that started Jack Reacher on his cross-country adventures. For those of you who have not gotten into Reacher’s stories yet, this is the place to begin. One of my favorite series. I have two downloads of this book available as well. And as always, anyone who’d like some bookmarks from my novel, Wake-Robin Ridge, need only email me with their mailing address, and I’ll send you some, for your own use, or for give-aways to friends and family. So there you have it. I will run today’s offer through tomorrow afternoon, to make up for it being posted so late. Hope you’ll all forgive me, and be sure to tune in again next Monday for another Lunchtime Giveaway.